One of my most favorite recipes for this time of year is chili, and it's given a new twist in this recipe. Give it a try! Brown ground beef on the stove. Place all ingredients in your slow cooker and stir. Cook on low for as few as 4 to 6 hours. 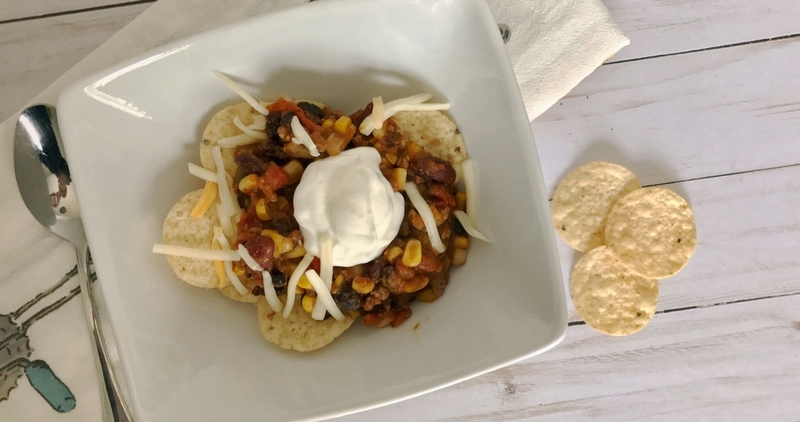 The longer your chili simmers, the better it will be! Serve over tortilla chips, spaghetti, or corn bread and top with shredded cheese and sour cream.